Kris Kennedy works in the Small Business Lending Group with First Community Bank in Roseville, California. They were the first financial institution listed as an allied trade member of California Craft Brewers Association. The U.S. Small Business Administration’s loan program makes it easier for small businesses to get funding from traditional lending institutions. Kris teaches us how to get an SBA loan for a brewery. Cash flow – This could be historical or projected. Can you repay the debt? Economic environment of the industry – Also includes changes to the industry such a new regulations or supply issues. Collateral – Can include business assets and personal real estate. How much the borrower is investing – They typically require 20-25% for startups. Character – They check your credit score including public records such as judgments and liens. Credit score must be at least 680. Loan amounts can range from $350,000 to $5 million dollars. Loans are offered in 10-year and 25-year terms. They’re fully amortized, meaning that the monthly payment will be the same through the life of the loan. There’s usually no pre-payment penalty after the first 3 years. Kris says the ideal candidate should have experience working in a commercial brewery. Planning on opening a brewpub, have restaurant or hospitality experience. Basically, show that your past experience applies to running a brewery. 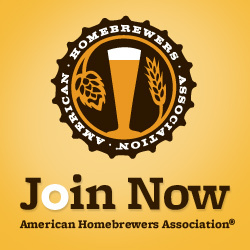 If you’re a homebrewer wanting to get an SBA loan, it could help to have awards for your beer. So start entering in contests! Lastly, Kris says, it’s good to work with a lender that has experience in the industry. If you’re in California, Arizona, Nevada, Washington, or Oregon, and you need funds to start or expand a brewery, get in touch with Kris. From Josh Button: How much business experience should I have? What kind of experience or education would you ecommend? The Umami Factor: Full-Spectrum Fermentation for the 21st Century by Robert Rivelle George. Allied Trade Members, California Craft Brewers Association. SBA Lending, First Community Bank. Brewers finding it easier to access capital, Eric Gneckow, The North Bay Business Journal, February 10, 2014. Turns Out, Uncle Sam Is a Beer Lover, Darren Dahl, Inc. Magazine, June 2013. New Glarus tapped SBA resources from start, Jeff Engel, Milwaukee Business Journal, June 14, 2013. SBA 100 Dogfish Craft Brewery, U.S. Small Business Administration. As a lot of you know, my wife and I are currently expecting our first child just about any day now. With him coming, I’ve taken a step back to analyze priorities since I feel like I don’t currently have enough free time to give to him with everything that I’m currently doing. While doing this podcast has been an absolutely amazing experience, after a lot of consideration I’ve come to the sad conclusion that I’m going to need to give it up to be able to focus on my family. I hope that you understand and I just really want to say thanks for all of the amazing support that I’ve had along the way. This will be the final MicroBrewr podcast and I have an awesome interview with David from Wild Earth Brewing to wrap up the MicroBrewr podcast series! UPDATE: This is not the last episode!!! See episode 13 for more details. Dave Kilgour was able to start up Wild Earth Brewing in 6 months, fully funded from friends and family and with a total cost of $125,000. From moving in the fermenter from his garage with a couple guys from town to being the only employee of the brewery, David has planned to keep costs down while still producing awesome beer for the masses. Support Dave and Wild Earth Brewing Co! Check him out at the links below! 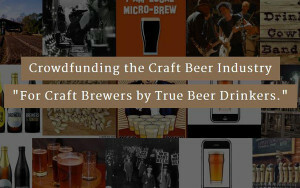 In this podcast I got to interview Mark Slattery from CrowdBrewed which is a crowdfunding platform targeting the craft beer industry. While I have heard of crowdfunding campaigns on sites like Kickstarter, I still wasn’t sure on the details of how they worked. Mark walks us through the process and details how you can raise money for your brewery without having to give up any ownership! While crowdfunding can work really well for starting up a brewery, Mark also discusses how established breweries can use crowdfunding for expansions or if they want to offer a new beer line. Besides raising money for your brewery, crowdfunding also has a great marketing aspect since your campaign will get attention and those that invest are going to be even more loyal fans in the future. By the end of this podcast, you’ll know how crowdfunding campaigns work, how to avoid pitfalls of campaigns that have failed and if crowdfunding is right for you! To help with those crowdfunding campaigns, you’ll want to already have a good social media following to get the word out once you start the campaign. Since time and money is tight, I’ve put together an e-book with six free social media tools that you can use to build your presence online and get your beer into the hands of more people. 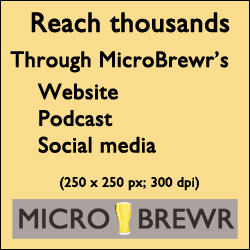 As my thanks for visiting MicroBrewr, simply click the button below and I’ll send you the e-book free to your email.